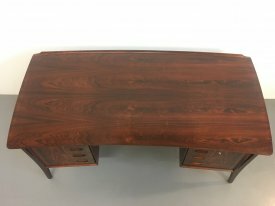 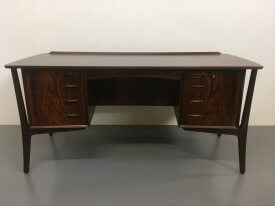 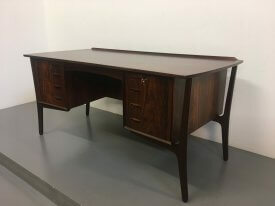 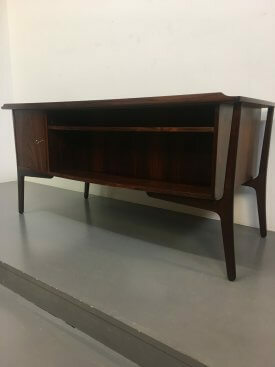 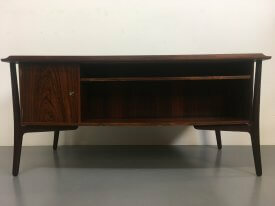 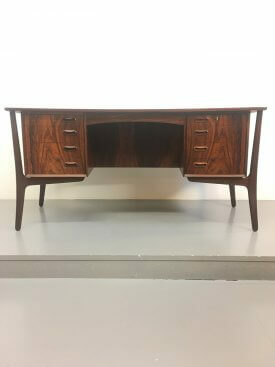 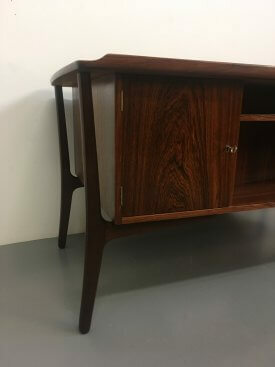 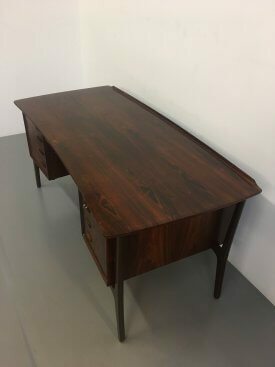 1960’s Curved desk by Svend Åge Madsen for Sigurd Hansen, Denmark. 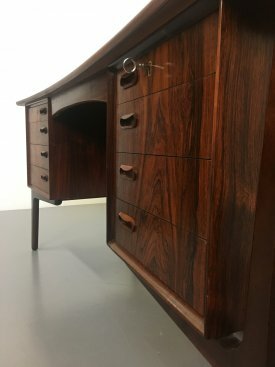 Solid rosewood external frame suspending twin pedestal drawers to the front with solid sculpted recess handles and key. 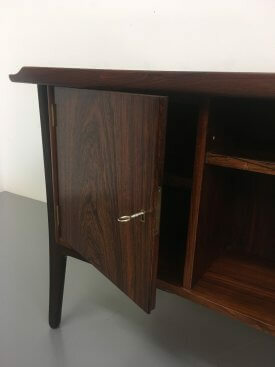 Locking cabinet with further open storage to the rear and lipped detail desk top. 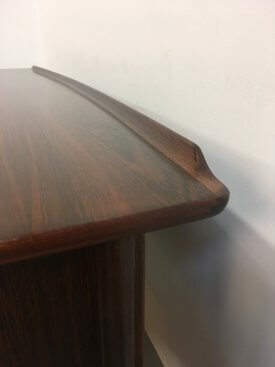 Striking grain throughout, excellent restored condition.